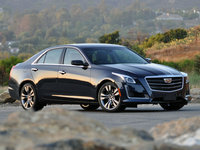 CarGurus has 5,770 nationwide XTS listings starting at $8,495. When handsome looks, stylish comfort, stately handling, over-the-top safety features, available turbocharged V6 power and a hefty serving of techno-marvels all come together, the result is Cadillac’s 2015 XTS luxury sedan. Looking like the traditional Caddy we know and love, this 5-seat land yacht offers truly cavernous cabin room that includes an adult-size rear seat as well as a trunk that’ll handle 18 cubic feet of luggage, groceries or maybe some expensive antiques. Introduced for the 2013 model year, this high-end 4-door added an optional turbocharged engine in 2014, thereby gaining a pair of Vsport sub-trims to complete a lineup that now includes the Base, the up-featured Luxury, the penultimate Premium and the top-shelf Platinum, with both the Premium and Platinum again available in the aforementioned Vsport garb. All trims except Vsport variants remain delivered with standard front-wheel drive (FWD), while the Luxury, Premium and Platinum editions again remain eligible for available full-time all-wheel drive (AWD). Both Vsport sub-trims, meantime, come only in the AWD configuration. Changes for the 2015 XTS trims are minimal, though there will be a couple of new exterior paint colors, along with standard turn-signal-integrated exterior mirrors that will now adorn each trim. Perhaps the most notable change for 2015 is the addition of 4G LTE WiFi interface to the standard OnStar techno-package, an upgrade that enhances several other GM lines. Meantime, lane-keeping assist is now standard aboard all FWD XTS trims for the upcoming model year, as are upgraded body-color outside mirrors. Your basic playthings aboard the 2015 Base XTS include 19-inch alloy wheels, upgraded heated power-adjustable outside mirrors, now with a new power-fold feature, leather upholstery, full power accessories, cruise control, power-adjustable telescoping tilt-wheel steering, adaptive suspension dampers, dual-zone auto climate control and rear parking sensors. Cadillac’s touted CUE infotainment also returns as standard equipment and remains bolstered by Bluetooth hands-free technology, OnStar Directions and Connections services and a Bose Premium audio system boasting 8 speakers, satellite radio and auxiliary audio input. Interestingly, the single-CD player is deleted for 2015, leaving the satellite radio and various internet-based selections as audio input choices, all of which can still be accessed via the standard 8-inch touchscreen. Moving up to the Luxury and Premium collections, look for the return of such additional goodies as upgraded interior LED lighting, heated rear seats, upgrades to interior accent materials, a heated steering wheel and memory for driver's settings. Front and rear parking sensors and a rear-view camera also remain standard in these higher trims, as do automated parallel parking assistance, a remote garage door opener and ventilated front seats. Furthermore, GPS navigation is standard in the Premium and the Platinum trims, as are a 14-speaker Surround Sound Bose stereo upgrade, blind-spot monitoring, lane-departure warnings and a forward-collision alert. The flagship XTS Platinum, as well as both turbocharged Vsport sub-trims, also boast standard 20-inch chrome-clad wheels, with Vsport upgrades also featuring a sportier grille design. Of course, lower XTS trims remain option-eligible for many of the features that come standard in higher trims, while the Premium and Platinum versions again can be delivered with available Blu-ray/DVD rear-seat entertainment. Getting down to grunt, the standard powertrain for non-Vsport 2015 XTS trims remains a tepid normally aspirated 3.6-liter V6 engine mated with a 6-speed shiftable automatic transmission. Again this ho-hum V6 puts out 304 hp and 264 lb-ft of torque, with mileage estimates running 17 mpg city/28 highway in FWD versions and 17/26 in AWD variations. To hear reviewers tell it, however, your best power bet remains the Vsport iterations of the Premium and Platinum trims. Look for the return of the heady 3.6-liter V6 in turbocharged form driving these babies, with the 6-speed shiftable automatic managing 410 hp and 369 lb-ft of torque. Mileage out of the strictly AWD Vsport trims, meanwhile, drops to an estimated 16/24. Safety-wise, the 2015 XTS lineup boasts standard 4-wheel antilock brakes (ABS), traction and stability control and front side-mounted airbags, as well as the usual front and rear head airbags. All trims except the Base sport standard daytime running lights, while no trim exceptions are made for the standard turn-signal-integrated mirrors, the post-collision safety system and the remote antitheft alarm. All trims also remain toting the popular OnStar emergency and roadside assistance communications feature, along with its stolen-vehicle-recovery technology. 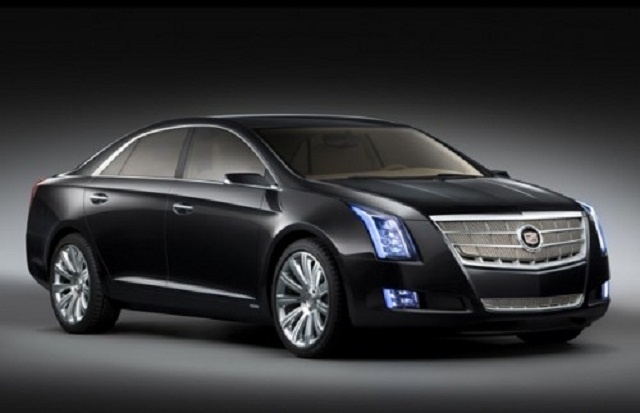 What's your take on the 2015 Cadillac XTS? 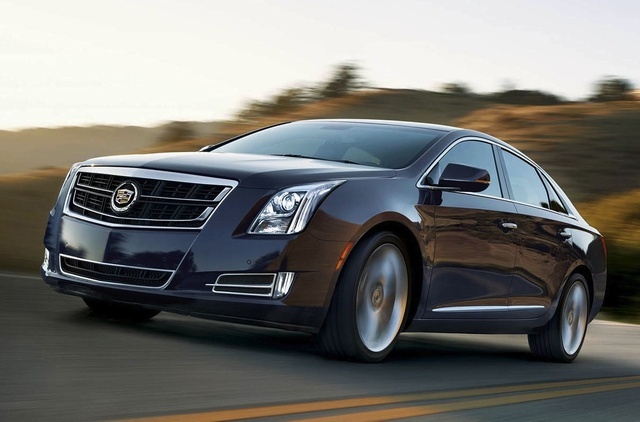 Users ranked 2015 Cadillac XTS against other cars which they drove/owned. Each ranking was based on 9 categories. Here is the summary of top rankings. Have you driven a 2015 Cadillac XTS?